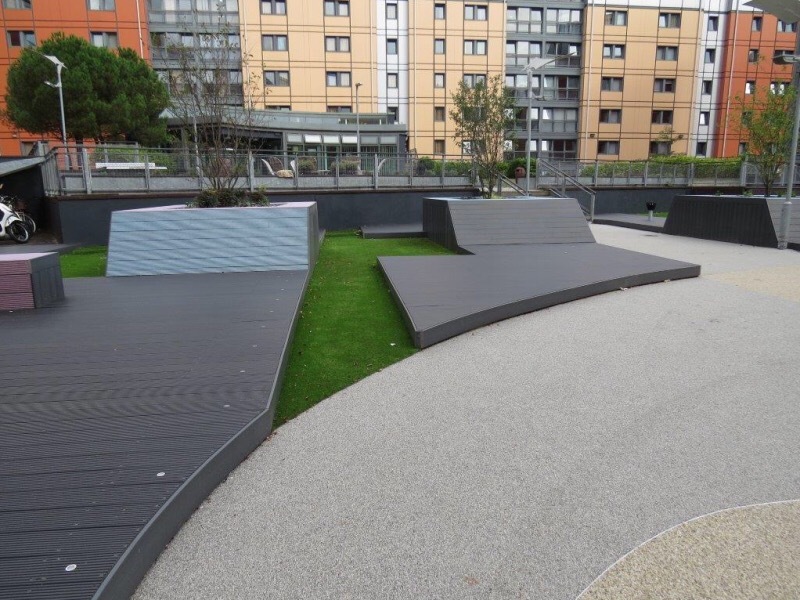 The construction of a series of outdoor seating/activity areas designed by Urban Green for the Manchester University Campus’, presented us with a materials palette including coloured recycled plastic decking, astro-turf and resinbound stone surfacing. 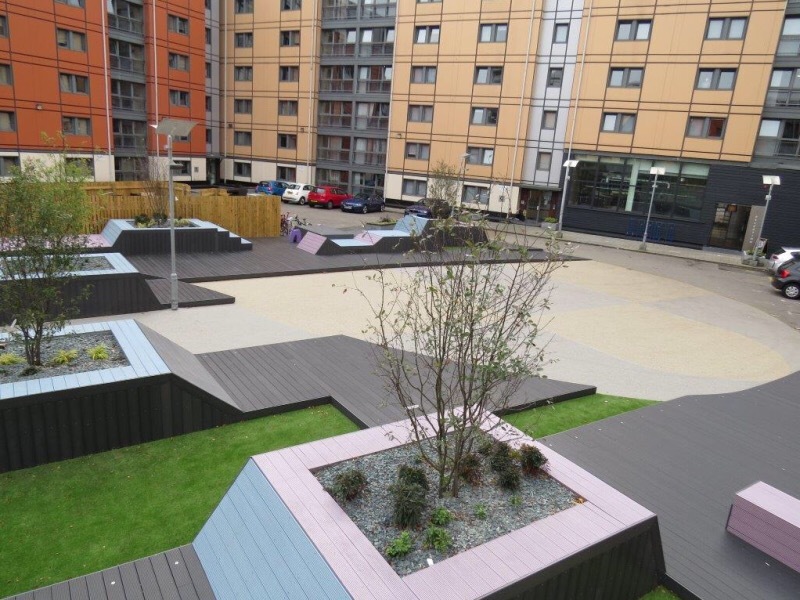 The design and layout provides a selection of informal seating areas for chilling out, study and chat! 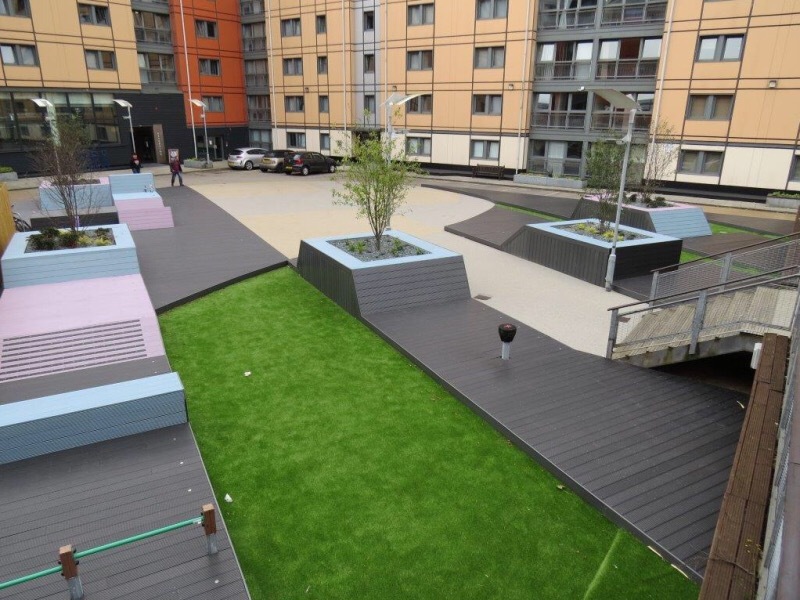 The coloured plastic decking gives a different range of coloured surfaces that are light and pastel in shades. 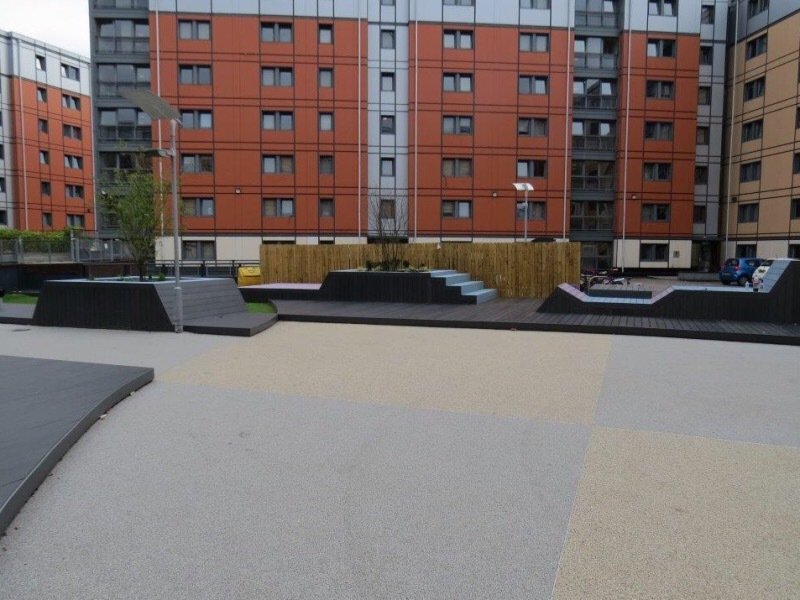 Our resin bound surfacing, installed by Resibond Ltd, part of the Landscape Engineering Ltd group, gives a clean and attractive surface that helps the space appear light and airy. As designer's we are very pleased with the attention to detail shown by Landscape Engineering and the build quality. We look forward to future schemes that will enhance both our portfolios.